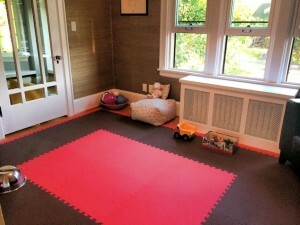 Either you practice RIE, attachment parenting, babywise or no specific parenting method, a safe play area is a necessity while raising your child. 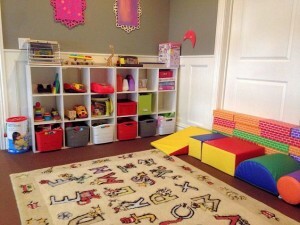 In RIE terms, a ‘Yes Space’ is a 100% safe play space where your baby or toddler can play and explore independently (without hearing ‘NO, don’t touch that!’, or ‘NO, you’re not allowed there!’ etc.). You can relax and observe your toddler while he crawls, explores, plays freely, without limits, without you being afraid that he will get hurt. 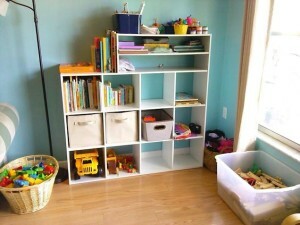 The ‘Yes Space’ does not have to be big, so almost any room in the house is appropriate and can be adapted. You can even create a mini bed in there for when they get tired. 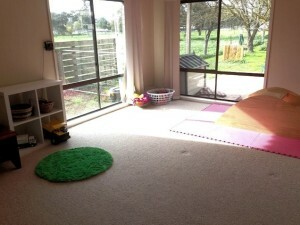 Consider to get a Perth skip bin to fill with blankets and pillows so your baby can jump right in and fall fast asleep. It should contain only objects and toys that are safe for your baby, no rigid or sharp edges and corners if you little one is prone to falls. At 8 mo, when we observed that our baby was moving more carefully and needed more space to explore, we disassembled the playard and use it as a fence. 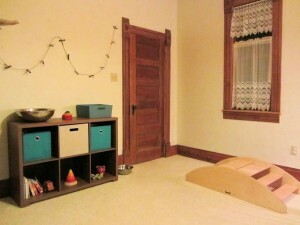 We enlarged her ‘Yes Space’ to cover (almost) the entire living room. Before this we covered all our furniture with edge guard and corner bumpers and we made sure that there was none of it she could climb or pull over. Now she freely enjoys crawling, walking and exploring things in the living room along with her favourite dolls, toys and pillows. All of them are neatly placed, before bedtime, inside a nice pastel storage cabinet. Our daughter’s ‘Yes Space’ works out really well, it is 100% safe, but it will, most certainly, need modifications as our baby grows. 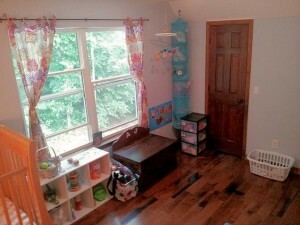 Tell us about your baby’s ‘Yes Space’! What does it look like? What it contains?